With the second day of Osheaga festivities underway, The Link took part in what would be another day filled with robust energy. Donning their most brightly coloured outfits and their posi-est of vibes, 40,000 people showed up en masse to the legendary party that graces the grounds of Parc Jean Drapeau. Making my way around the massive island, excitement could be heard coursing through each and every conversation. The more than quaint Saturday afternoon started out with a beautifully sunny sky and a few clouds. That is, until the heat took over around midday–promptly creating a swamp for greasy Osheaga bros to take off their shirts and stunt whatever it is they thought they had. Regardless, the second day was incredible, boasting a killer lineup of international and local artists alike. The following roster of artists put on some notable performances, searing their names into our playlists for the next time they make their way to Montreal. 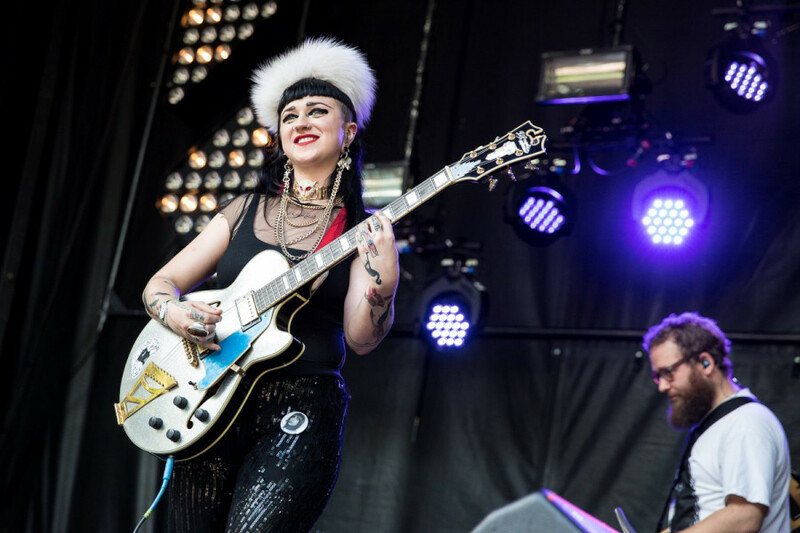 Australian rock outfit Hiatus Kaiyote lit up the stage at 2:45 p.m. at the Scene Des Arbres stage. Nestled into the shady forest, the crowd beamed with energy as each member of the future soul funk band took their respective places on the stage. All looking eager to share their uniquely crafted songs, their presence seemed to fill the audience with dreamy waves of sunshine and candy. Warped synths and piano keys melded into one another, setting the tone for bright chord progressions led by Naomi “Nai Palm” Saalfield. Less than halfway through their set, the band jammed out to a brand new track that was brilliantly fueled by funky bass grooves, performed for the first time for the lucky show-goers. As the Neo-soul rockers and crowd vibed hard off one another, patches of sun peeked through the trees, spreading even more warmth throughout the forest. Young Sinatra–or better known under his most famous pseudonym, Logic, brought his A-game this year to Osheaga at the Scene Verte Sonnet stage at 4:45 p.m. Despite an equally massive yet anticipatory crowd, it was unbearably filled with Brosheagans. Plagued by people filming every second of the show and taking an obnoxious amount of selfies, Logic tried to shut down the issue by asking the crowd to put away their phones down and enjoy the experience. He performed tracks off of his latest mixtape Bobby Tarantino along with other fan favorites. The sun rays beat down on the humongous audience, but that didn’t stop anyone from dancing it up during his wild set. If the eccentric artist ever makes his way back to Montréal, we would highly advise you to try and score tickets to his show. 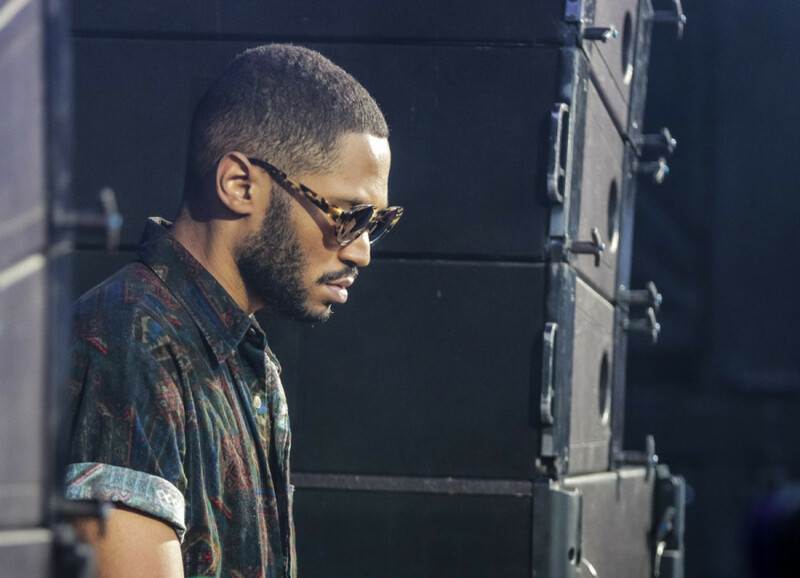 Kaytranada played a sold-out show earlier this year at Le Metropolis for the promotion of his debut album 99.9%. Montréal loves this hometown hero. Back then, the crowd went wild, soaking in everything the talented young producer had to give. There was no way anyone could imagine that Kaytra could top his previous efforts. Yet here we are—barely two months later—with his own set at Osheaga and the crowd was even more chaotic. A sea of fans had flooded the entire stage at Scene Piknic Electronik by 7:50 p.m., just in time to secure their own spot on the dancefloor. Playing a variety of hits off of his latest LP along with a few classic mixes, Kaytranada is becoming an intimidating act to follow these days. Easily one of the friendliest crowds anyone at the festival could’ve been a part of, the Montreal-raised artist made sure of a good time. Toronto has become hottest city in Canada for gifted young rappers, putting out Jazz Cartier among its growing roster of MCs. Performing at the Scene De La Vallée stage at 9:00 p.m. to exhibit his unbaffling amounts of energy, Cartier played tracks off his third mixtape, Hotel Paranoia. At one point during the show Jazz climbed the scaffolding on the side of the stage and continued to rap vigorously as he navigated his way up and over the crowd. There wasn’t any point during the show where he decided to take a break from his set, it was almost surreal to witness one human being capable of exhausting their body just to satisfy an audience. As one of the last shows on Saturday at Osheaga, Future lit the stage at Scene Verte Sonnet showing up to his set 20 minutes late by 10:10pm. The DJ teased the audience relentlessly, playing songs that Future featured on just to fool everyone into thinking that the rapper would pop out. After waiting what felt like forever (but in reality was less than half an hour), the Atlanta rapper took to the stage with his ever-enthusiastic presence and kept the crowd going until his set was finished. Fireworks illuminated the stage behind him adding that extra touch of epicness. He played tracks off of his latest mixtape, Project E.T which features production from DJ Esco. Future also dug back to the last quarter of 2015 and played hits off of his collab tape with Drake What A Time To Be Alive. It was a perfect way to end the second day at Osheaga and makes me eagerly impatient for what the last day has in store.